Getting a hot, tasty meal on the table every night of the week can be a challenge whether you work in or outside of your home. It can be all too easy to grab take-out or prepared food to get dinner on the table but that gets expensive plus the foods are generally loaded with fat and sodium. Take it easy with a different approach to cooking – a slow cooker is the ultimate way to save time and money while you enjoy nutritious and delicious meals. The concept of slow cooking has been around almost since people began to cook – foods left to cook over a low heat for a long periods of time will break down to release wonderful flavors; lesser cuts of meat literally fall off the bone and melt in your mouth. 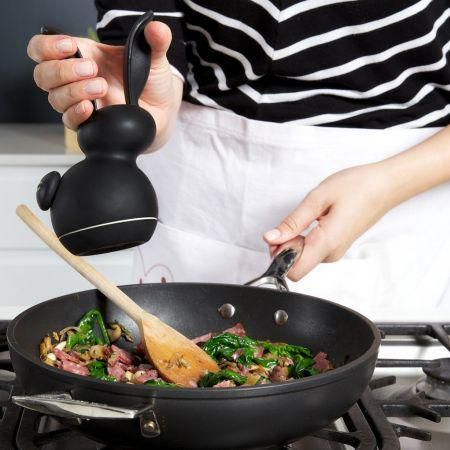 The modern way to cook slowly simply means that you use an appliance instead of an open flame – all you need to do is assemble the ingredients, put them in the cooking vessel and set the timer before you go about your business. Hours later you return to a home filled with the aroma of a piping hot meal that is ready to savor and enjoy. Slow cooking lets you incorporate organic foods along with fresh herbs and spices and control everything that goes into the dish; this is a good way to address any dietary restrictions and introduce healthier foods. Craft delicious soups, stews and chili dishes along with all sorts of hearty casseroles and healthy side dishes; there’s no need to fire up the stove because you only need access to an electrical outlet and the food keeps warm for hours. Slow cooked foods are ideally suited for entertaining and there’s no need to reheat anything or worry about a hot plate since the food is self-contained, portable and ready to serve any time. Instead of relying on salt to bring out the flavor in the food you can enjoy a wider range of herbs and spices when you prepare foods from scratch. Pepper and spice grinders bring out the best flavors when you are using dried spices or you can use fresh spices such as rosemary and thyme. If you do not have access to a local farmers market you can generally pick up fresh herbs in the produce section of the supermarket, or you might even want to try planting a small herb garden in your yard or on a windowsill. This entry was posted in Cooking, Food and tagged cooking, slow cooking, what is slow cooking on December 20, 2013 by Yami.